In vivo genome-wide RNA structure probing provides a global view of RNA structure as it occurs in the cell and can assist in elucidating important functional aspects of RNA structure. Structure-seq2 provides high-quality data on transcriptome-wide RNA structure in vivo but contains numerous steps that require technical precision. In this chapter we present the steps needed to produce high-quality structural data with a focus on controls and troubleshooting. 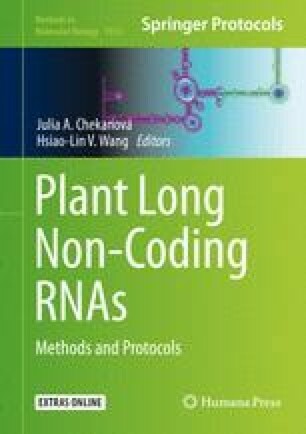 Structure-seq2 can be applied to numerous organisms including plants, humans, and bacteria and is amenable to a wide variety of RNA-modifying chemicals including DMS, glyoxal, and SHAPE reagents. Notably, the data generated by the method highlighted here can be readily analyzed using our StructureFold2 computational pipeline. The online version of this chapter ( https://doi.org/10.1007/978-1-4939-9045-0_20) contains supplementary material, which is available to authorized users. We thank Dr. David Mitchell and Dr. Joseph Waldron for helpful input on the manuscript and Dr. Craig Praul (Genomics Core Facility, Penn State University) for high-throughput Illumina sequencing. This work was supported by the National Science Foundation Plant Genome Research Program (NSF-IOS-1339282), with additional support from an Innovation Award from Penn State University.